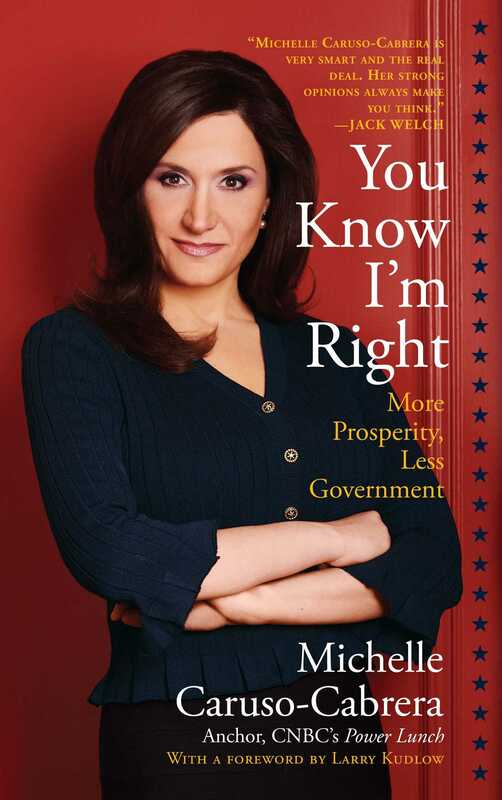 Straight-talking CNBC reporter Michelle Caruso-Cabrera demands a modern solution to our nation’s social and economic woes—a return to our political roots: fiscal conservatism, limited government, and personal accountability. Hypocrites and radicals on both sides of the political spectrum have left fiscally conservative, socially liberal Americans like CNBC’s Michelle Caruso-Cabrera people without a party. If you tell your neighbors you’re a card-carrying Republican, they’ll assume you’re opposed to abortion, hostile to gay marriage, and don’t care about the environment or the poor. Democrats are portrayed as union-loving, tree-hugging activists, more concerned with making government big rather than effective. The reality is that both parties have been hijacked by the wrong issues and have abandoned the loyal Americans who believe that government should stay out of our private lives and out of our pocketbooks. Both parties are to blame for the exorbitant spending and excessive social interference over the last ten years that have left our country in a financial disaster. The core principles of Reaganomics rejuvenated an unstable economy and the Clinton-era policy successes took power away from the federal government and put money in our pockets. We must return to the fundamentals of American politics: small, not big, government. Less spending, not more. The first step is to more narrowly define the parties’ platforms away from needlessly divisive social issues and refocus the political discussion on that really matters: economic policies that create jobs. In the smart, tell-it-like-it-is style that has made her popular with Democrats and Republicans like, Caruso-Cabrera outlines forward-thinking free-market solutions for health care, education, and immigration. These ideas will stop our growing deficit, boost our competitive capital, and strengthen our dollar, because an economy that is flexible and free of government interference can grow faster and get the country out of its current malaise. It’s not too late to fix our nation, restore our credibility, and rebuild our political system with the tenets on which it was founded: fiscal conservatism and social liberty. Our future is counting on it.